Q. 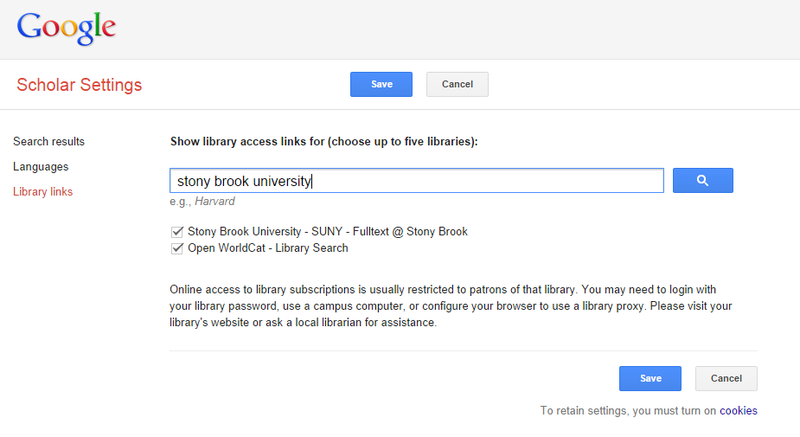 How do I set up Google Scholar to display Stony Brook University search results? 1. 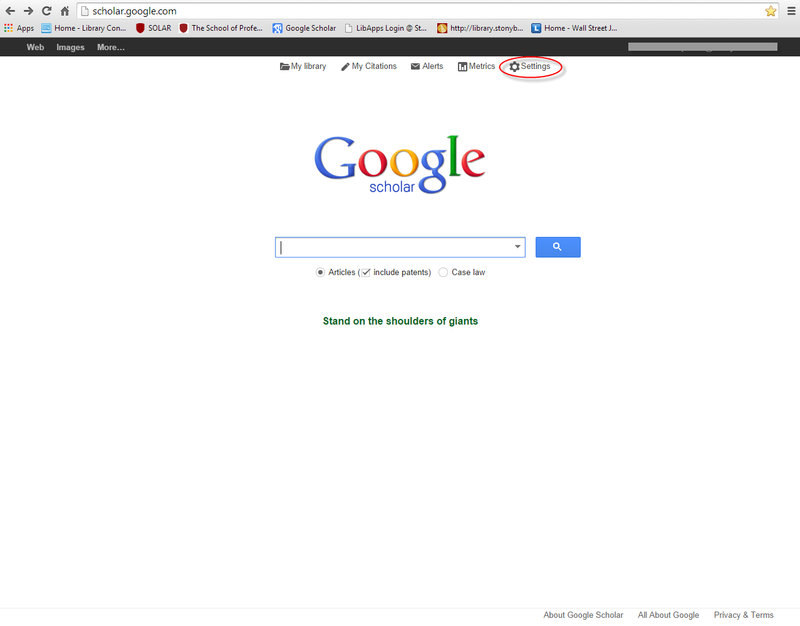 Go to scholar.google.com and click on settings. 2. 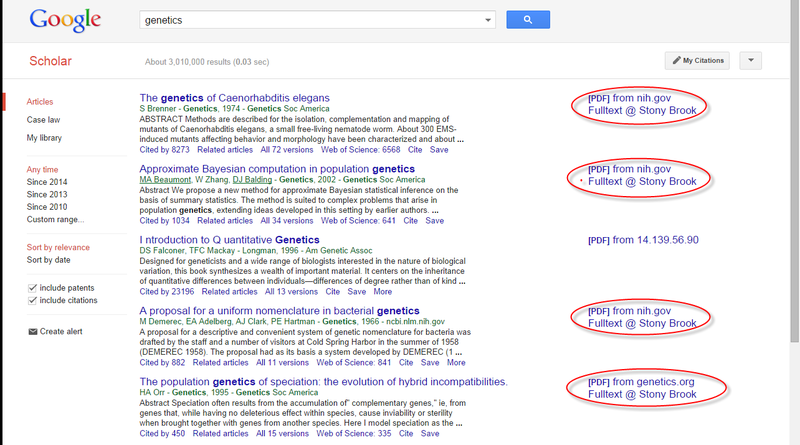 On the left, under Search Results, click on Library Links. 3. Type in the name of the university library you want to add (Stony Brook University) and click the magnifying glass to search. Stony Brook University - SUNY - Fulltext @ Stony Brook should appear as a checkbox. Check the option for this library, and click SAVE. You can add up to 5 libraries. 4. Once you begin a Google Scholar search, you should now see Fulltext @ Stony Brook on the right side of the search results page, next to articles that we have access to.